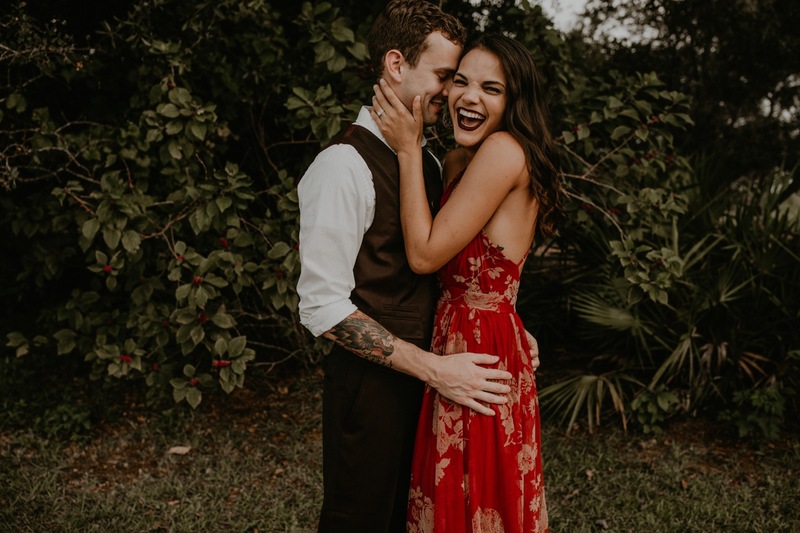 Katelyn and Kevin had the most gorgeous engagement session at Lake Louisa State Park in Clermont Florida. Finally blogging this engagement session and I’m sitting over here blown away. From the first email, I knew Katelyn was the kind of girl you meet and instantly just want to be friends with. After meeting them both at their engagement session I knew that my gut was correct and they were both such a blast to be around. Truly, photographing this couple was an honor, and something I can’t even explain. I mean plus we had all sorts of creatures and animals come hang out with us during their engagement session, my favorite was the two deer that just happened to cross the road as we did our thing. But FOR REAL……..I have to make sure you all know I don’t play around when it comes to talking about couples that are madly in love. But I kid you not, as soon as these two stepped out of their car their love radiated all around, like before the session even happened I was like Wow! But I guess I don’t need to explain anymore in detail, I’ll just let the photos speak for themselves. Lucky for me their wedding just happened and I can’t wait to blog all that AMAZINGNESS as well.